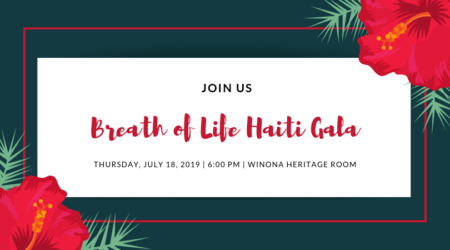 SAVE THE DATE–Join us for an evening dedicated to celebrate our 5 year anniversary at the Winona Heritage Room in Winona Lake, Indiana. Dinner will catered by Noa Noa and served at 6:30pm with a cash bar. Formal attire. Activities will include live entertainment, viewing of documentary, presentation and silent auction. Tickets will be available for purchase on March 1, 2019. Ticket price is $50 per couple. Proceeds will benefit the building fund for the future birthing center.